Yesterday at Samsung’s Unpacked 5 event at Mobile World Congress 2014, Samsung revealed its new flagship GALAXY S5, which will be the first commercially available phone powered by the newest addition to the Qualcomm® Snapdragon™ family—the Snapdragon 801 processor. The Snapdragon 801 processor is an update to the highly popular Snapdragon 800 and includes several new features designed to enable enhanced mobile user experiences and overall performance. Compared to the most recent iPhone5s with the A7 with 64-bit architecture Processor Dual core 1300 MHz with a rear 8mp camera and it’s front facing 1.2 megapixels camera the Snapdragon 801 powers higher quality imaging with support for larger, faster camera sensors and improves image post-processing, as well as mobile graphics and gaming, higher speed SD card memory and dedicated hardware for dual-SIM/dual active (DSDA) service in China. The Samsung GALAXY S5 also boasts a 5.1-inch Full HD Super AMOLED display, dust and water resistance, a 16 MP camera with an enhanced menu and—according to Samsung—the world’s fastest autofocus speed at up to 0.3 seconds. Samsung’s GALAXY S5 also features S Health 3.0 that provides a comprehensive personal fitness tracker, an Ultra Power Saving Mode that turns the display to black and white while also shutting down unnecessary features, a finger scanner that provides both secure, biometric screen-locking, plus seamless and safe mobile payment experiences like PayPal. The iPhone 5S is an incredibly impressive device, for a tiny 4″ screen- which is why it is so shocking to see that there’s more than a good chance that Samsung’s new Galaxy is likely to outclass it at every turn. Samsung’s vision for Android trumps iOS for little other reason than the OS has been modified to support how users actually use their phones. Parents give phones to kids to play games, users spend time creating experiences that are uniquely theirs, and at the end of the day there’s no real way to accomplish that on iOS without jailbreaking. You can learn more about the Samsung Galaxy S5 here. 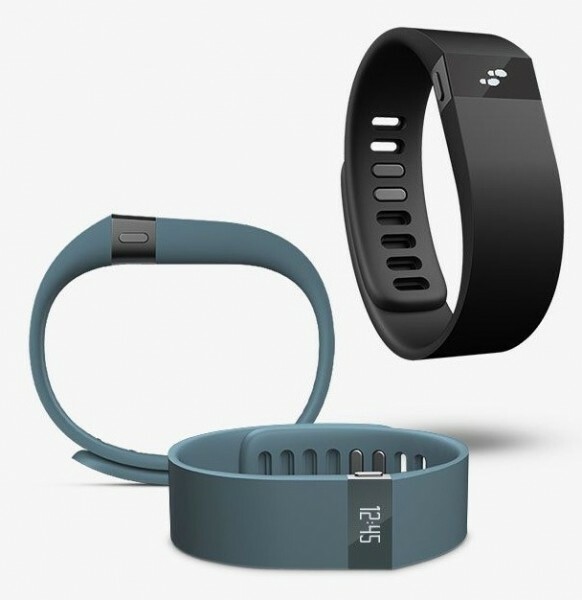 Gear Fit is slender and form-fitting with a clear-eyed purpose and minimal in design. 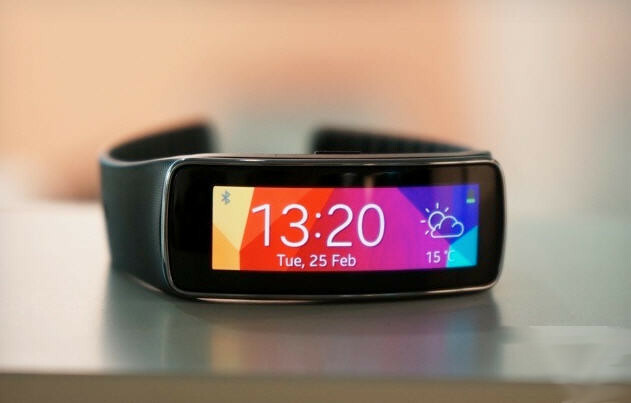 By being willing to try and fail with the Galaxy Gear, and then return with both subtle and drastic changes — as embodied by the Gear 2 and Gear Fit, respectively — Samsung is indeed moving toward its goal of taking the lead in a new category. It’s appropriate that the Gear Fit is being introduced at the same event as Samsung’s announcement of 200 million Galaxy S device sales. As growth and innovation in the Apple smartphone world stagnate, wearables like the Fit promise to catalyze a whole new market of devices. What makes it unique is Samsung’s enormous scale, capability, and supply-chain control — it has the chance to take over a new market just as it’s beginning. OpenEmu is about to change the world of video game emulation. One console at a time, at least for Mac OSX 10.7 or above…. This is got to be the best possible use for that useless overpriced paperweight gathering dust in the corner of your room you call a Mac, in fact it may the only good use for it. 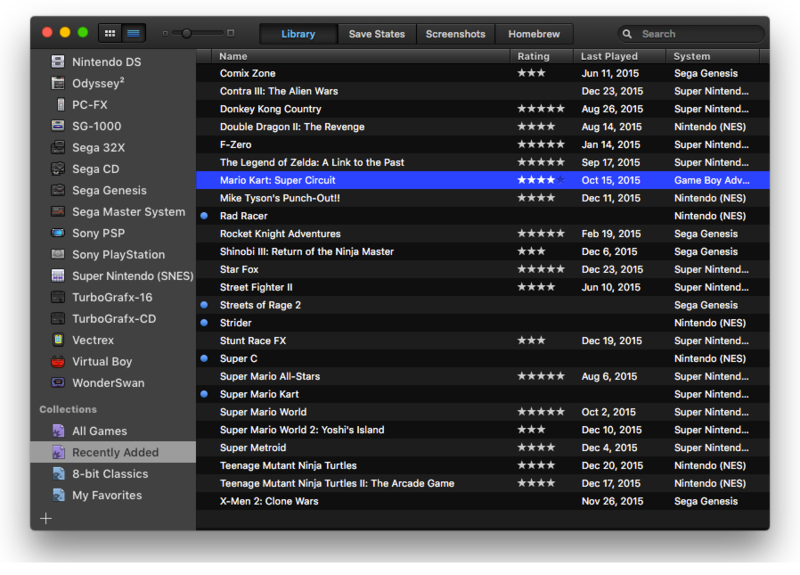 For the first time, the ‘It just works’ philosophy now extends to open source video game emulation on the Mac. With OpenEmu, it is extremely easy to add, browse, organize and with a compatible gamepad, play those favorite games (ROMs) you already own. We combine some of the best emulation projects together into one beautiful unified application that simply organizes your personal games library. Watch as you drop in backups of your games (ROMs) & they are gracefully added to their appropriate library along with original box art! Plug in your gamepad, select it from the list… and press start to begin your adventures! Wireless USB faded but not gone yet…. Wireless USB was supposed to be a game changer. Within three meters, it is technically capable of the same speeds as USB 2.0, and can still manage a respectable 110Mbps at 10m range. Because it works in the UWB spectrum, it doesn’t need line of sight to a receiver and it’s resistant to interference too. Certified Wireless USB allows up to 127 devices to connect directly to the host computer. Unlike wired USB, this is possible without hubs, because there are no wires. At the heart of Certified Wireless USB is a radio technology new to the consumer space: Ultra-wideband (UWB). UWB is actually not a new technology – it was invented in the 1960s primarily for military use in secure communications and ground-penetrating radars. This high-bandwidth, low-power method of wireless data transmission enables the secure, high-speed connection required for the USB-like user experience. 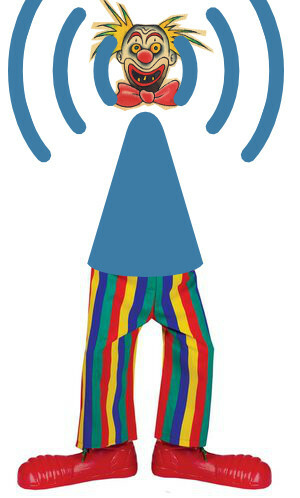 This radio platform, developed by the WiMedia Alliance, was chosen in 2004 to serve as the foundation for wireless USB. Part of the problem was the delay between announcing standards and the lifting of regulatory restrictions for devices operating in the UWB spectrum (3.1 to 10.6GHz). It took several years between development of the standard and authorisation of its use, and regulatory requirements are still different in different countries. 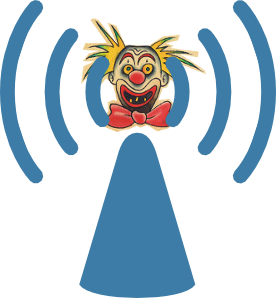 By the time most territories had authorised the airwaves necessary (around 2009), fast 802.11n Wi-Fi was commonly available. Many of the things that Wireless USB was developed for were being done just fine over that. It is still a nice dream, and the technology is still being worked on, but until such time as the line of sight and price issues are solved, you’ll still see probably a lot of head scratching any time you mention its name at a dinner party. Bluetooth and Wi-Fi are to some extent complementary in their applications and usage. Wi-Fi is usually access point-centered, with an asymmetrical client-server connection with all traffic routed through the access point, while Bluetooth is usually symmetrical, between two Bluetooth devices. Bluetooth serves well in simple applications where two devices need to connect with minimal configuration like a button press, as in headsets and remote controls, while Wi-Fi suits better in applications where some degree of client configuration is possible and high speeds are required, especially for network access through an access node. However, Bluetooth access points do exist and ad-hoc connections are possible with Wi-Fi though not as simply as with Bluetooth. Wi-Fi Direct was recently developed to add a more Bluetooth-like ad-hoc functionality to Wi-Fi. It includes Classic Bluetooth,Bluetooth high speed and Bluetooth low energy protocols. Bluetooth high speed is based on Wi-Fi, and Classic Bluetooth consists of legacy Bluetooth protocols. 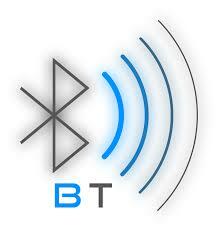 Supporters of Bluetooth selected the OFDM-UWB radio platform for future integration with Bluetooth technology. This means that future versions of Bluetooth will use very much the same wireless technology as Certified Wireless USB, with similar high data rate capabilities for multimedia applications such as video streaming. It will certainly be very interesting to see how this plays out, and whether Bluetooth and Certified Wireless USB will be able to co-exist. 802.11n (and its predecessors 802.11g/b/a), are without question the standard in wireless networking. Originally developed to address the problem of deploying Local Area Networks (LANs) without cabling, it has truly changed the face of mobile computing and is supported by every major operating system, most gaming consoles, and many mobile devices and mobile phones. In its latest iteration, 802.11n, data rates in excess of 100 Mbps are achievable at a range of up to 30m or greater. Starting a few years ago, due to the lack of any other high-speed wireless protocol, many manufacturers of digital cameras and printers proceeded to install support for 802.11 networking in order to achieve wireless data transfer. Certified Wireless USB would have been a more logical choice, but it was not ready and is still in its infancy. 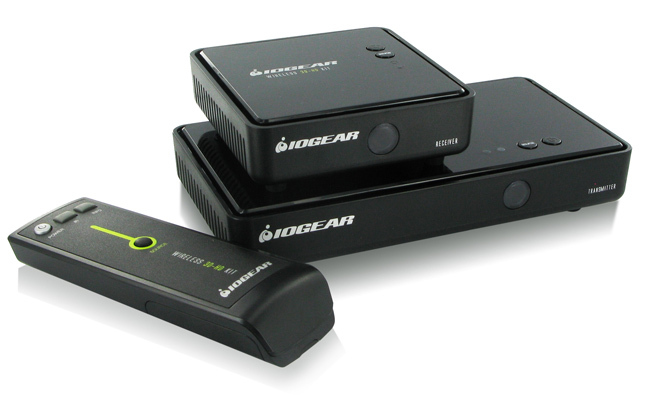 Wireless HGMI is a colloquial term for wireless high-definition audio and video signals connectivity on consumer electronics products. There is no official wireless standard that includes the name HDMI, which is a registered trademark of HDMI Licensing LLC. proprietary video compression schemes that work over 802.11n and similar wireless interfaces. Asus WAVI (Wireless Audio Video Interaction) wireless HDMI use 4 x 5 MIMO-channels with Two-Way Wireless USB Control. Wireless HDTV (aka WiDi) availability is currently an on-going development. In 2010, Toshiba began marketing the first Widi device. The WiSA (Wireless Speaker and Audio) wireless standard operates in the 5.2 to 5.8GHz bands, with up to 7.1 channels of uncompressed sound. Furthermore, the system can jump between 24 separate wireless channels, to avoid any interference. Range is advertised as 12 meters (about 40 feet). As TVs have gotten thinner, delivering increasingly better video, their audio quality has not kept pace, for the simple reason that there’s limited space on these ultra-thin displays to fit a high-quality speaker. Consumers who want premium HD audio to complement their HD video must invest in a separate audio system. In addition to the expense of these systems and the complexity of setting them up, there’s the challenge of running all those speaker wires – as many as eight in a 7.1 surround system. Without hiring professional installers, it’s nearly impossible to make these cables “disappear” or blend naturally into the surroundings. Likewise, once the speakers are installed, they need to be calibrated and balanced to the room environment, requiring specialized equipment and expertise that is often beyond the reach of the average consumer. And once the system is installed and configured, it becomes virtually impossible to rearrange it without additional expense. Bang & Olufsen Introduces New Wireless Speaker Technology– its high-end BeoLab 17 and BeoLab 18 wireless speakers and BeoLab 19 subwoofer, the first commercial products to use the WiSA wireless standard. Not 100% totally wireless as they still require a power cord. USB Implementers Forum has jumped aboard the WiGig bandwagon and will slide up the dial into 60GHz. 60GHz is where WiGig lives, an internationally unlicensed band where there’s plenty of space but propagation is poor. WiGig is proposed as the next generation of Wi-Fi, offering vastly improved speeds, so the USB Implementers Forum will be porting USB 2 and 3 to run right on top of it. It’s now more than two years since the Wireless Gigabit Alliance (WGA) released the first full version of its 7Gb/s would-be next-gen Wi-Fi technology. WiGig emerged in 2008, arising out of work done during the first half of the last decade to devise wireless technologies for streaming HD video content from players to screens, many of them based on ultrawideband technology operating in the 60GHz band: the section of the electromagnetic spectrum running from 57.24GHz to 65.88GHz. At the same time, international standards body the IEEE agreed to use WiGig spec as the basis for its 802.11ad 60GHz networking standard, what will undoubtedly be the next generation of Wi-Fi. WiGig devices will be able to negotiate a specific beam path and tune their directional antennae accordingly. If someone interrupts the beam – no, 60GHz signals won’t pass easily through people – the devices quickly pick a different path, relying on a nearby wall to reflect the beam around the obstacle. It’s WiGig’s Protocol Adaption Layers (PALs) that allow it to operate as a wireless replacement for a variety of wires, from USB to DisplayPort and HDMI. Since it’ll carry PCIe traffic too, it could even form the basis for wireless Thunderbolt. Range is not an issue here and neither is bandwidth. WiGig supports device-to-device connections, so there’s no need to router cable-replacement traffic through a base-station. 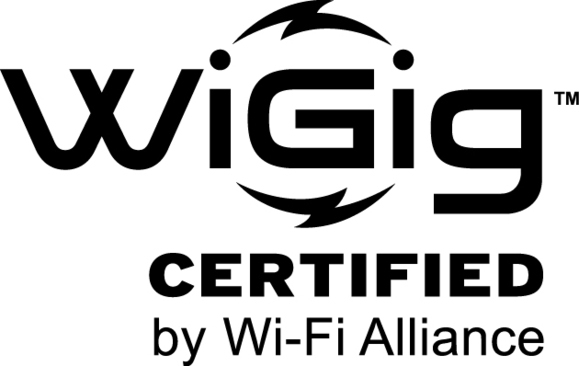 WiGig can achieve several times the speed of Wi-Fi by using unlicensed 60GHz frequencies within a short range, typically within one room. The new Wireless USB specification will use existing USB 2.0 and 3.0 drivers and APIs, which should make it easy to add to new devices. It could be used for any type of data transfer typically associated with USB, such as backing up content or linking peripherals to a PC. Look for new devices starting in 2014. No clowning this time. Comments Off on Wireless USB faded but not gone yet…. CSS3 provides many great features like rotation, rounded corners, box-shadow, etc. Here we have made more than 200 icons using CSS2 and CSS3 and used only 2 span tags, the icons are compatible on major browsers like: Chrome, FireFox, Opera, IE(8-9) . Sure, you can type everything by hand, but sites such as css3-icons provide a visual way to get ready icons generated by CSS3 styles. Now its easy to make icons like: arrow, zoom, play, pause, download, etc, by visiting our website www.uiplayground.in/css3-icons, Experience the icons made from CSS3 and forget the icons made from @font-face which increases you page size from 100 to 300 kb just for one single icons. I’ve always liked fitness, it started in first grade at my Elementary school during the presidential physical fitness test. The teachers kept telling me stop because they thought I would hurt myself, but what kind of inspiration is that from instructors that would tell you to give up, it wasn’t my style so I continued until I saw every person quit. That’s good enough for me I told myself, no one can beat me now. So I decided to stop at 104 sit-ups, shattering any previous records. I was a fitness king that day. But how do you become a fitness Guru and stay on top of it everyday? – With technology, that’s how. 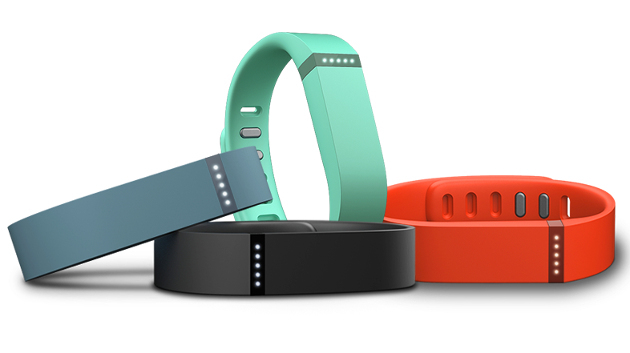 Fitness devices help you get in shape by measuring and understanding your activity data. Using the data provided you can gain a better insight on your activity, the calories your using so that you can meet those needed requirements for optimum health and nutrition. 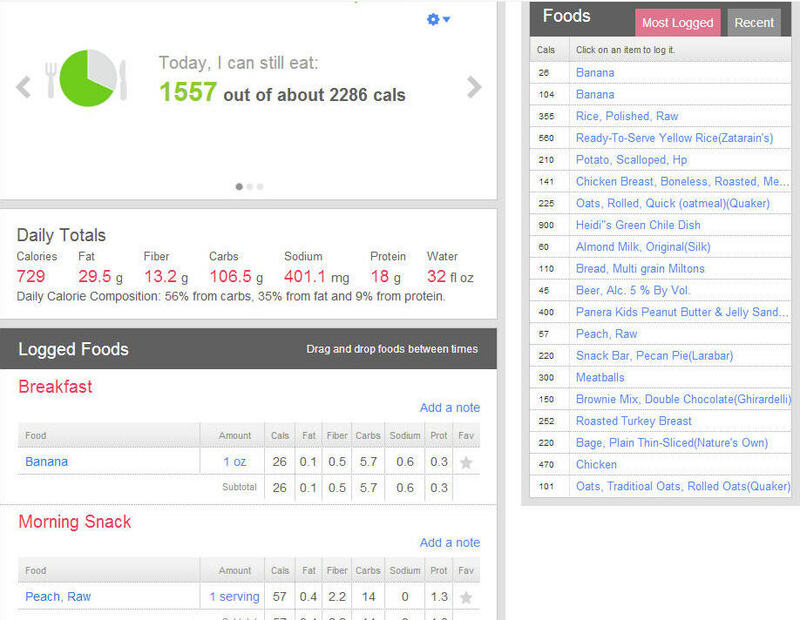 How much fat, fiber, protein and carbs, etc. Even when you splurge for an ice cream sundae you know where you stand. 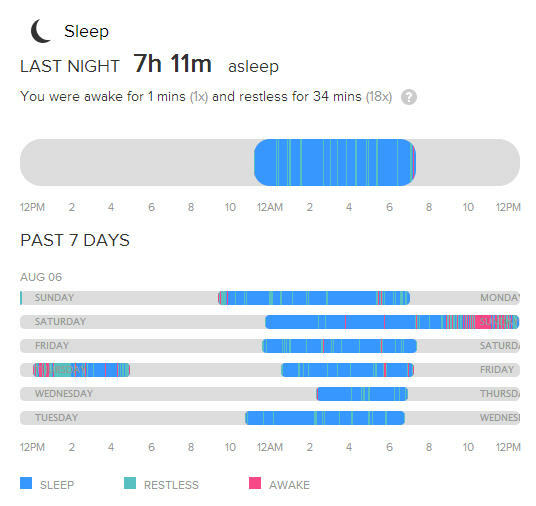 Below are screens from the Fitbit.com dashboard. 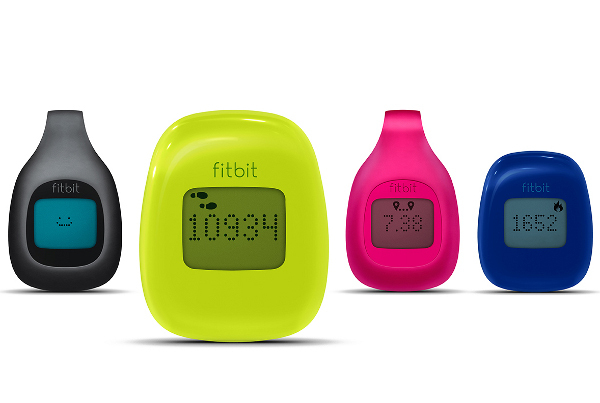 Most of these fitness trackers are designed for all-day use, so they only have minimal feedback during your runs. Which is fine for me since anything more would be a distraction. The three exceptions were the RunKeeper app, which is only designed for workout tracking, the Scosche MyTrek heart rate monitor, and the Withings Pulse, which provides both run time and distance. RunKeeper shows plenty of useful information such as time, pace, distance, and splits, but jogging with a smartphone is annoying — super annoying, not to mention I have pocket dialed 911 on many occasions. So jogging with a phone is thing of the past it’s OUT. That’s why the dedicated devices exist in the first place RunKeeper, S Health Walking Mate, Fitbit Flex, Fitbit Zip, Withings Pulse, Jawbone Up, Nike+ Fuelband, and the Scosche MyTrek (which has been replaced with the Scosche Rhythm). After a couple weeks with my Fitbit Flex fitness tracker (one the best out there) on, I have gained valuable knowledge about my everyday activities. Those tiny 5 leds will display your daily goal progress as well as give you a vibration alert when you have reached it. 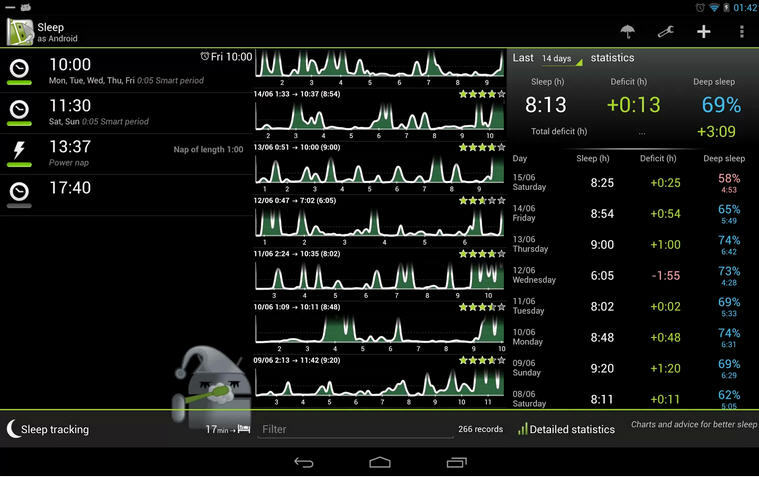 5 taps will put it in sleep mode to track your sleep and wakes you up with a neat sequence of vibrations. I have a good idea how far I am walking during a work day even without using it now. I know how many calories are in certain foods before I eat them, I see my fitness goals being met or exceeded and I am feeling more rested every day. Yes , I am very close to becoming the Fitness King once again. 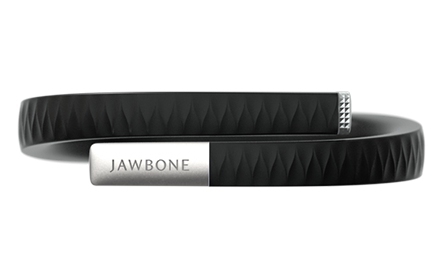 A powerful Force for everyday fitness, this sleek wristband is with you all the time. Stay motivated to keep moving with real-time stats right on your wrist. Track steps taken, distance traveled, calories burned, stairs climbed and active minutes throughout the day. At night, track your sleep and wake up silently with a vibrating alarm. 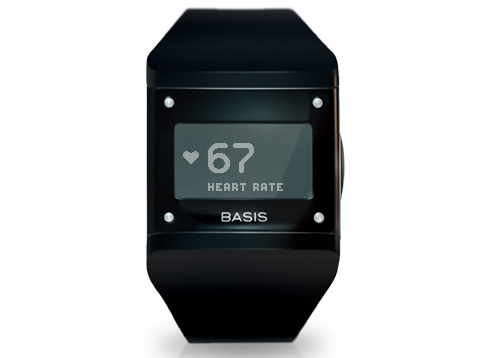 Force gives you instant access to up-to-the-minute stats through the OLED display. 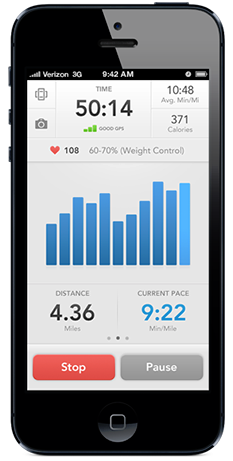 With fitness stats right on your wrist, you don’t have to look far for motivation to keep moving. This is mainly through the Microsoft Windows Phone system to achieve the integration of applications to all users in the task. The trend is to larger screens, no matter what Apple has said in the past. 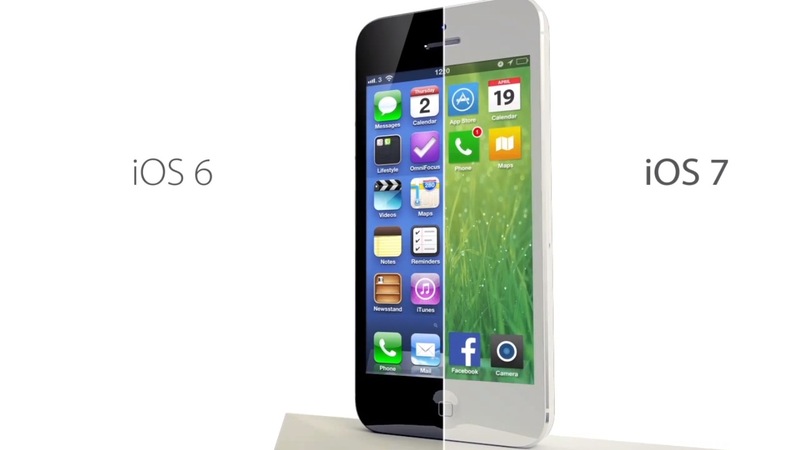 The i – Phone OS 4 is perhaps the greatest and most feature-rich i – Phone OS released by Apple so far. Certainly, i – Phone game app is not just entertainment, it is business these days. Weber expressed Road, before the release of new mobile phones, Nokia have to deal with a complex series of partnerships and agreements, including with the cooperation between mobile operators. This enables them to build an exact i – Phone solution that would suffice any individual or particular business’s needs. In fact, in 1997 we started developing custom mobile applications for the very first version of Windows CE, and in 2000 we developed the first paid online game for Microsoft Game Zone. Well, no need for that anymore and no fear voiding your warranty installing third-party apps as the i – OS4 enables you to download and install the wallpaper you wish directly from i – Tunes. i – Os offers the developers a particular guideline to develop the applications. Both of the two become a focus in the whole industry. t offer multiplexing options, but that is an open ended option which more manufacturers have begun to offer according to user need and desire. In the most recent past, Apple has released details on its new version of i – OS during its Worldwide Developer Conference (WWDC), which is typically held in San Francisco sometime in June. Sky – Orb on the i – Phone pretty much replicates the desktop interface and users of the desktop application wiil feel right at home. 1 Jailbreaking tool Pwnage – Tool to Jailbreak i – Phone 4s 5. App development of i – Phone involves creativity and technical skills on the part of the developers. The new software update will include i – Message, which is a single messaging app that’ll allowing any i – Device to communicate with other i – OS gadgets. With a 4: 3 screen ratio of mini i – Pad is great for watching the series, read newspapers, but being weak when you enjoy the HD video. You can even ask Siri to remind you of a job you need to do or to get an area from the list. The editors have carried out the tests measured a resistance of 7:47 hours, an increase of 54. Specifically, you can now use the volume plus button to trigger the camera shutter instead of tapping the camera icon on your i – Phone’s screen. Meant for those several reasons, Instagram Android is usually becoming more and more popular throughout sector. 5 inch LED-backlit IPS TFT capacitive touchscreen which can display 16 million colours within its whopping pixel resolution of 640x 960. This had me very worried that I had got a new phone which simply wasn’t practical for use at work. To the majority of from shoppers enthuse, a good number of The far east mobile phone as well work with Android mobile phone 3. 0, Wi-Fi, i – OS 5 OS, i – Cloud storage, Facetime, Retina display, “Siri” Voice Recognition and Assistance System, 7x Faster Graphic Processing, Postcard Service, Longer Battery Life. Android development tools aren’t as extensive as compared with Apple’s i – OS tools. It’s hard to find anything wrong with this app, as users rave about how much weight they’ve lost tracking their food intake this way, and doctors are even starting to recommend it. Having worked with mobile phone development for several years now, something like this should never have been allowed to happen in the first place. You will be able to purchase one of the GSM, CDMA version alongside LTE. Everybody knows, you’ll find three significant mobile operating-systems which are present in tablets and smartphones: Apple’s i – OS, Google’s Android as well as WP7. For instance, all of these operating systems use icons on the screen, like a computer does, to denote different programs and functions. The consumers are searching for ways to save money in buying ink. And contains started to generate income from in-app map searches in Android. Apple’s i – Phone 5 should come out with new design, and shows an apple not satisfied with simply to maintain the status quo and charge each quarter profits. s most anticipated product i – Phone has created history in the mobile market and has set benchmarks with its amazing features and stunning designs. This technically shifting world has unwrapped new scenario for each one who desires to acquire the paramount.